Here’s a neat little Super Mario Run hack of sorts to unlock all levels in the game for free, and that too, legally. Nintendo recently released Super Mario Run for iPhone and iPad, and the game is proving hugely popular amongst gamers, just as you might expect for a game with the word “Mario” in the title. 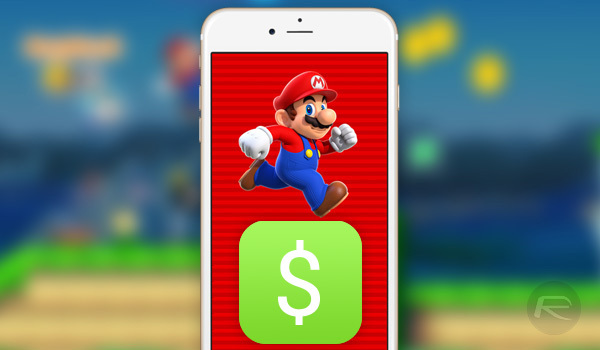 What makes the game interesting for App Store observers is its free-to-play business model, with Super Mario Run free to download and play first two to three levels, with gamers having to pay $9.99 in order to unlock the vast majority of levels within the game. It’s a model that has become commonplace in the App Store, but it’s still interesting to see a company the size of Nintendo follow suit. Of course, if you really want to play the full game with all levels, you need to make that purchase, and at $9.99, it’s just enough to make some people think twice. But what if there was a way to get the game, in its entirety, for free? As it turns out, there is. 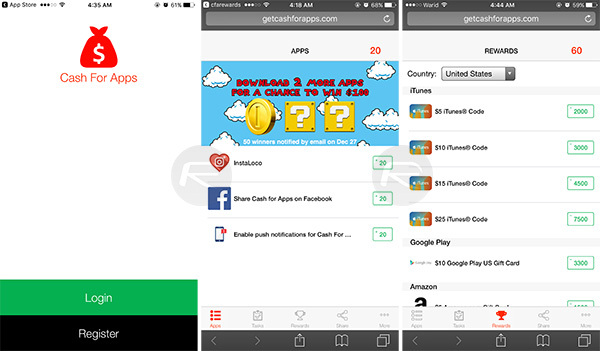 You may have heard of Cash For Apps before, and that might even be because we already outlined the steps required to take part here: How To Get A Free $10 iTunes Gift Card. The gist of it is rather simple. Users create an account and then complete tasks in order to receive in-app points. These tasks usually amount to downloading, installing and then launching an app or game, and that’s generally all that is required to receive between 100 and 200 points. Those points then turn into something useful, like an iTunes gift card. A $10 iTunes gift card is 3000 points, for example, so once that figure is achieved, the points can be redeemed for a code that can then be plugged into iTunes or the App Store, crediting the $10, which can immediately be used to buy Super Mario Run’s in-app purchase. The points can of course be used for other gift cards, such as those used by Steam, and the iTunes cards can be used for anything that’s purchasable within the iTunes ecosystem – music, movies, apps etc. If you have some spare time on your hands and fancy getting something for nothing, this is one route you could go down to get full version of Super Mario Run with all levels unlocked for free. Why not check it out? wow hacking is so easy. i never knew. How is the classified as a “hack”? Wow I was going to comment this verbatim. This has got to be the most ridicilous title I’ve seen on here. The absurdity of this article aside, has anyone tried this yet? I miss Opinion Rewards like crazy. Redmond Pie just wasted two articles on Cash For Apps. It’s clear they’re getting a kickback. “What makes the game interesting for App Store observers is its free-to-play business model” … Really? This makes the game interesting? This article is so badly misleading, mis-titled and just so all around garbage that I’m about to stop following Redmondpie. Your posts over the last few months have been mostly regurgitated swill. Updates that aren’t any different than the post before it. Hacks that literally have nothing to do with a hack or hacking in general. I just can’t bother to waste my time anymore. So true! Why do they take an already published article, and re-publish it with a new date? I’m all for recycling, but this is ridiculous. Wow, they deleted some of the comments criticizing the post?? Pathetic! What you’ve fallen victim to is known as click-bait. Otherwise known as how RP keeps the lights on. Fagslam, the only one around here to make such a pointless article. Leave it up to this site to post such an idiotic article , Oliver you are a jackass . This is not hacking, it’s just a way to redeem a giftcard. Whoever wrote this is a moron. How long does this take ? Hey guys, here is how to get a CAR and a HOUSE for FREE!!!!!! !… Get a job and pay for your s**t. Then you’d be doing what this click baiting pos article is saying. It doesn’t work. I was scammed in the first article. don’t try this. I’not allowed to get a job yet and my parents cant afford to give me an allowance.